Allan Cunningham (1791-1839) was an English botanist as well as an explorer who became famous for his travel to Australia for collecting plants. 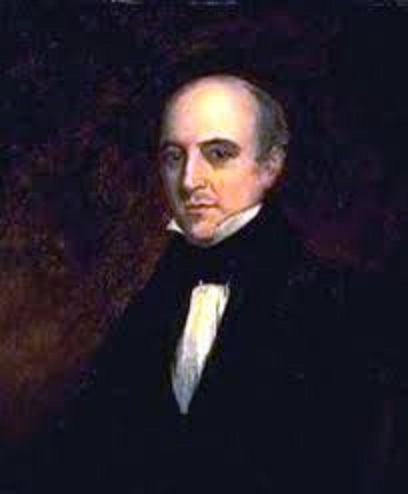 Allan Cunningham was born in Wimbledon Surrey of England on July 1791 as the elder son of Allan Cunningham of Renfrewshire of Scotland and an English Mother Dickin. He took his education at a private school in Putney. He worked for some time at a conveyancer’s office in Lincoln’s Inn, but he was not much interested in law, hence in 1808, he joined the position of the clerk to the curator of the Royal Gardens at a herbarium at Kew. At Kew, Cunningham was introduced to Robert Brown who was a botanist in the investigator with Mathew Flinders and then a librarian to Sir Joseph Banks. Later on the recommendation of Bank, Cunningham was appointed as a botanical collector to the Royal Gardens. Between 1814 and 1816, Cunningham went to Rio de Janeiro of Brazil with James Bowie to collect the specimen for Kew Gardens and he stayed there for two years. Then Bowie was ordered to move to Cape of Good Hope and Cunningham to New South Wales. He started for Sydney in September 1816 and reached there by December 1816. There he was requested to join John Oxley who was expediting into the country west of the Blue Mountains. It was being arranged and while awaiting departure, he rented a cottage in Parramatta and started botanizing the surroundings. He returned in September from Parramatta to accompany Oxley for the Lachlan river marshes and they both collected around 450 specimens of plants. From 1817 to 1820, Cunningham traveled under Philip Parker King as a ship botanist on HMS Mermaid which was of 85 tons only. They reached King George Sound on January 1818, though their stay was of short duration they collected many specimens from there compared to the island of West Coast which was completely barren. Many new plants were discovered on the Goulburn island on the north coast. They reached Timor on June 1818 and then traveled for home and reached Port Jackson on July 1818 after collecting about 300 specimens. Shortly after he returned, Cunningham traveled to South for the prominent peak of Mount Keira overlooking the Illawarra region. By the end of the year, he traveled to Tasmania by January 1818 and then he visited Launceston. In May he went with King in the Mermaid as his second journey to the north and the coasts of the north-west. He added many new species to his collection after their voyage. The Australian Voyage was completed on 27 August after they reached an island in Clarence Strait. The third voyage to the north with King started on June 15, but because of bad weather the bowsprit was lost and they had to return for repairs. They again started on July 1820 to the north which was followed by a circumnavigation of the continent. Then Mermaid was convicted and they started their journey on the “Bathurst” which was twice the size of the Mermaid. In September 1822, Cunningham went to an exploration of the Blue Mountains and reached at Bathurst on October 1822, after which they returned to Parramatta on January 1823. In New South Wales, there are about 100 plants in the Geographical Memoirs founded by Cunningham and edited by Barron Field. In 1823, he started his voyage to cover the upper Hunter River for exploring the inside of the Great Dividing Range. In September 1824, he joined John Oxley on his second voyage to Moreton Bay to explore Brisbane River. He also visited New Zealand in 1826 finding his many botanical work references of which is provided in Hookers “Companion to the Botanical Magazine ” in 1836 and “Annals of Natural History” in 1838 and 1839. In June 1827, he climbed to the top of Mount Dumaresq and stated in his diary that lush area there was ideal for settlement. In 1831, Cunningham returned to England but soon after he moved to Australia in 1837 as a government botanist. He resigned next year as he found out that he was needed to grow vegetables for the government officials. He died due to consumption in June 1839 in Sydney. He was buried in an Obelisk inside the Royal Botanic Gardens of Sydney in 1901. Cunningham was a very hard worker botanist and he did not have much time between his expeditions to give proofs for his scientific discoveries, however, he presented few papers in the journals of that period. He also ranks highest among the top Australian explores. Although he was poorly equipped and had a small number of parties his courage, knowledge, and resourcefulness allowed him to achieve what he desired. His botanic work has been honored by naming many of the Australian Trees after his name like Araucaria cunninghamii for hoop pine, Nothofagus Cunninghamii for Myrtle tree, Centipeda cunninghamii for old man weed etc. A highway is named the Cunningham Highway in his honor. A species of an Australian lizard, Egernia cunninghamii is also named after him. The Australian federal seat of Cunningham was named in his honor as he was the first ever European explorer to visit the Illawarra region. A locality of Allan, Queensland was named in his honor.